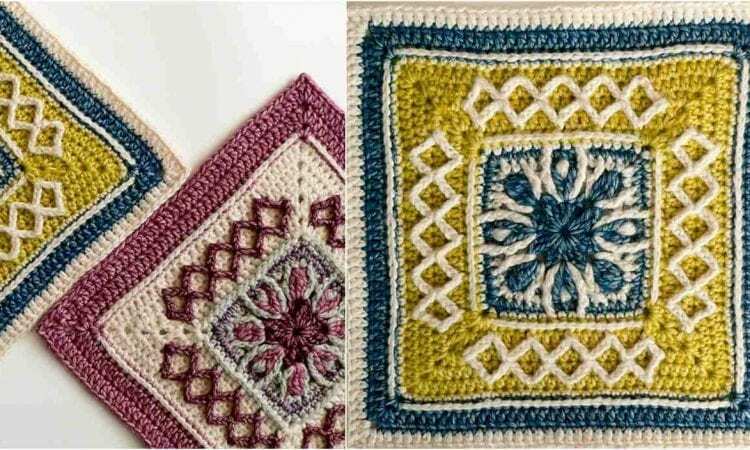 Here is a classic crochet square for blankets, throws and afghans. This lovely pattern will be a great addition to your square collection. The old-timey color combination works well with the dense texture of the square and will look amazing repeated in a large blanket. This project will be a great challenge for the beginning crocheters, and a fun undertaking for the more advanced. A link the free pattern is at the end of the post.